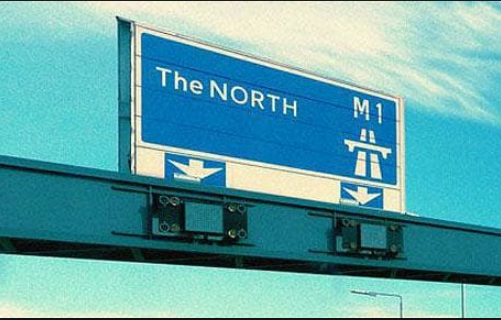 We expected ‘the north’ to feature highly and indeed it did. In fact, Northerners believed that humour barely exists down south; that life is too corporate and driven by profit and this is prioritised over humour and relationships. But Southerners also said that life and people in the North were funnier than in the South. It was one aspect of Northern life that they envied. And one particular part of the North stood out as the comedy capital of the UK. Glasgow, Newcastle and Ireland (that’s another conversation!) 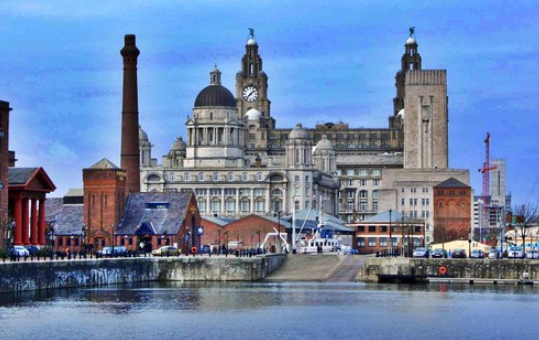 were all cited as places where humour flourishes in the everyday, but it was Liverpool which, unifying the UK for once, was most frequently described as the funniest place in the country. There are plenty of reasons why Liverpool took home the humour cup, but the main one was confidence. Humour is hard wired into the Liverpool brand. When we visited, to discover their hidden secret, what struck us was that Liverpudlians just simply believe that they are funny and they TELL you frequently and so vociferously and laugh so much that you simply believe them too. Humour is a fundamental part of Liverpool’s identity, as much a source of local pride as their beloved football clubs. It’s their quick witted, laughingly delivered, down to earth asides and retorts that people from the rest of the UK admire. The growth of this culture of humour is often attributed to the working class history of a city that has traditionally been a place of transitory employment, of navvies and dock workers who were often hired by the day and spent time waiting around for work. This ‘waiting’ established a sense of togetherness, conversation and socialisation amongst friends and strangers, often contrasted with cities such as Manchester and Birmingham, where mills and factories provided regular employment and people’s lives had stricter routines. These dock workers, in particular, were worldly men who had travelled and met people from different countries, religions and political persuasions. They had to learn to communicate with others and understood that humour was a great way to break down barriers. Indeed, Liverpool is built on immigration, perhaps more so than any other city in the UK outside London. In that sense it feels different to anywhere else and this difference is nourished by its people. It’s an outpost (like Glasgow and Newcastle to some extent); a place with a strong regional identity, somewhat off the beaten track, part of, but separate from, the rest of the UK. And of course, there’s the accent. We found that strong regional accents strengthen humour and down to earth realism. 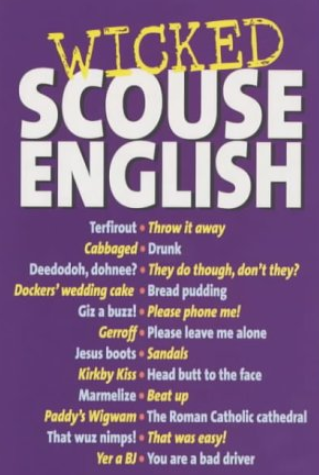 But the Liverpool accent is particularly unusual and melodic, high pitched, light, unthreatening and prone to laughter. This is much more compatible with a quick witted personality profile than the deeper, more serious tone of the Mancunians who live 30 miles down the road. The slower broader vowels from places such as Birmingham and Bristol were never thought to generate the same energy or quick wittedness. All this happens without a culture of great comedians, especially today. We found that other areas have a humour type which is encapsulated by their most famous comedians; Sarah Millican embodies the irreverent, playful nature of Geordies whilst Billy Connolly and Frankie Boyle both capture the harsh and uncompromising side of Glaswegian humour. But Liverpool humour is not about comedians, but rather the people and the place; the everyday interactions on the bus, in the workplace, between neighbours. So what is to be done for the rest of the UK? Shall we all move to Liverpool? Let’s not take drastic measures. And try not to get too downhearted if, like me, you live in London and still consider yourself to have a sense of humour. Of course humour is vital everywhere in the UK; there are successful comedians, great TV shows and hilarious individuals from every corner of the country. In fact, our survey showed no strong regional differences in types of humour and we personally, did not observe that Liverpudians were funnier than anywhere else. But what can be learnt from Liverpool is that confidence, being quick to laugh at yourself and not taking yourself too seriously is at the heart of positive humorous interactions. The first in a series of posts on Humour from Kate and Pauline.